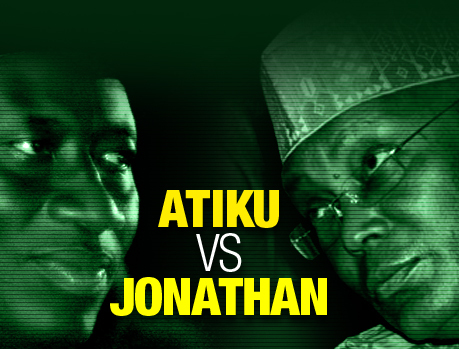 ATIKU VS JONATHAN | ItuaLive! The war drums have been beaten. The battle front has been prepared. The Venue: Eagle Square Abuja. Date: Thursday, 13th of January 2011. The two candidates are squared up for what may as well become a turning point in this nation’s history. The road has been rough, tough and arduous. It is now time for them to test their political weight against each other. 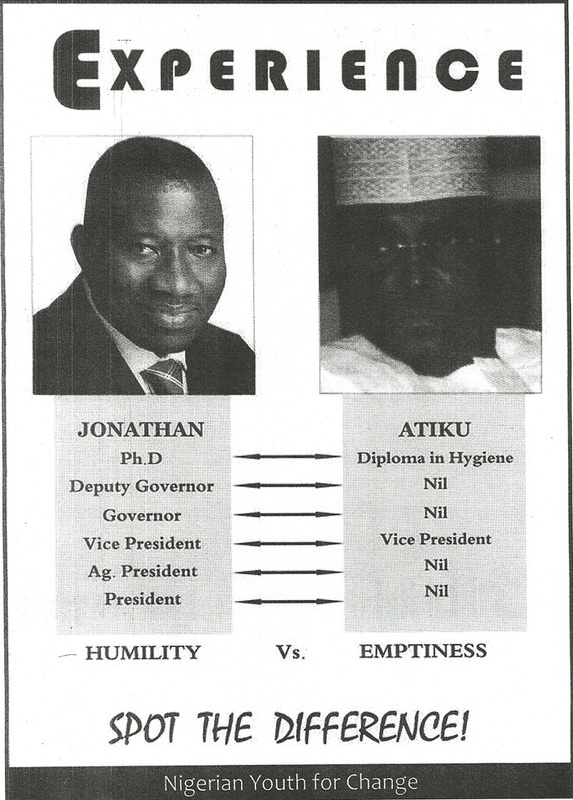 Ladies and Gentlemen, I present… Atiku Vs Jonathan. Atiku Abubarka (Turaki Adamawa) can be described as the proverbial cat with nine lives. He is known for his political resilience. He is a juggernaut with political machinery that spans across the length and breadth of the country. Now he faces another sitting President in what seems to be his toughest battle ever. Atiku made his entry into mainstream politics in 1993 as an aspirant in the presidential primaries of the now defunct Social Democratic Party (SDP) behind Chief MKO Abiola and Alhaji Babagana Kingibe. He won the 1999 governorship election in Adamawa state before former President Olusegun Obasanjo picked him as running mate. He fell out with his boss in the twilight of the Obasanjo administration over the third-term saga. He failed in his attempt to become president in 2007 as the candidate of the Action Congress (AC). 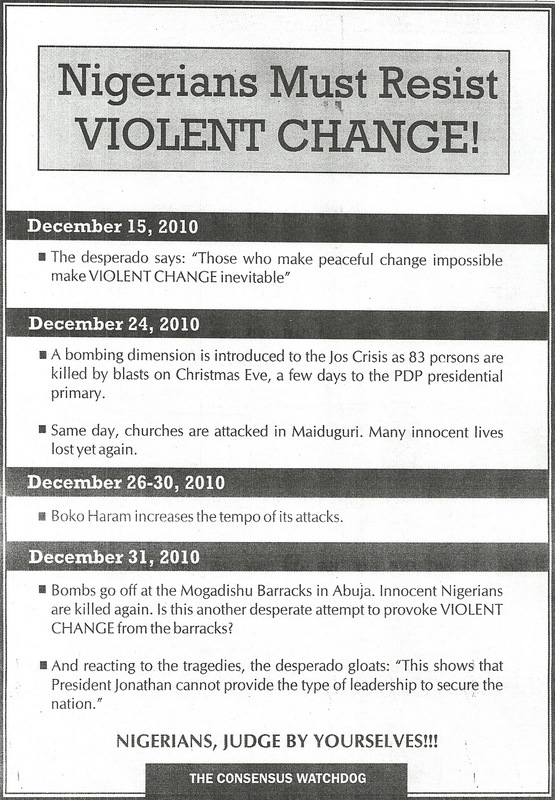 On the 10th of December, 2010, he was anointed as the Northern Consensus Candidate by the Adamu Ciroma lead group. Atiku attended Jada primary school from 1954-1960 and has a diploma in Law. 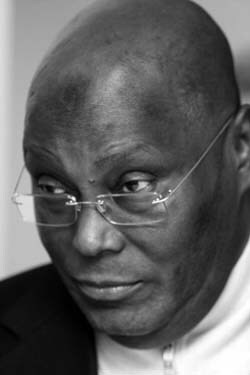 Atiku, who is considered to be one of the wealthiest men in Nigeria, has businesses all over the world. He is married to four wives. His first is Titi Abubarka (an Ilesha-born Roman Catholic), the others are: Rukayat (the daughter of the Lamido of Adamawa); Fatima (a lawyer) and Jamila Iwenjiora an Ibo woman from Onitcha. As a result Atiku is considered as one of the most detribalized northern muslim aristocrats. He has 27 children. Atiku is credited as being behind the economic team comprising Charles Soludu and Ngozi Okonjoweala who were instrumental in helping with Nigeria’s debt relief profile. He was also key to the appointments of Malam El Rufai as Minister of FCT and the establishment of the Nuhu Ribadu Led EFCC. Many see him as responsible for all the positives of the Obasanjo Administration. Atiku is a dogged fighter. He speaks for what he believes in and stands by it. A character lacking in many politicians in Nigeria. The way Atiku withstood Obasanjo over OBJ’s self succession bid has been hailed by many. Not many Vice Presidents will deny themselves a shot at another term in office with the President’s seat still in sight. And even if some might oppose, most will sit back (sidon-look approach) for fear of losing out in a power game. Atiku has loyalist spread across the length and breadth of the country. They are die hard Atiku followers. 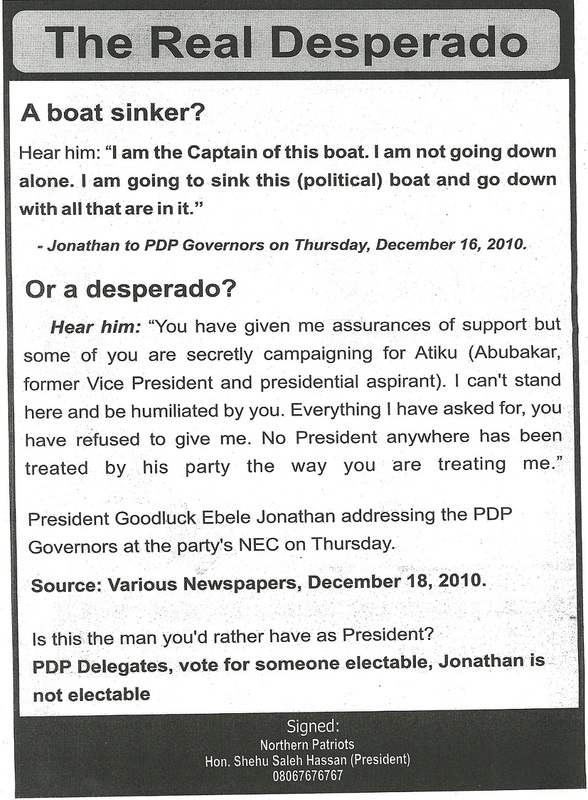 Atiku has always wanted to be president since 1993. One would think he should relinquish his aspiration for the younger generation. People have tagged him as desperate because of this age long ambition. He is also considered unstable and untrustworthy because he has been the vanguard of several political parties that have different ideologies. Rumor had it that a whole Turaki went to “dό-ba-lѐ” for Baba in Ota to pave way for a smooth return to the PDP. This singular action may have completely discredited his candidacy. Atiku has carried a corruption toga for as long as I can remember. There is no viable explanation to how he came by his stupendous wealth. He says he made some good investments at the right time (Was this when he was a civil servant in the customs?). He has been investigated by different foreign governments and although has never been convicted, the “stigma” attached leaves a lot to be desired of a man who seeks the highest office in the land. His stand point on the zoning debacle has portrayed him as a politician who is not a nationalist. He says the next president must come from the north as though it were not in the hands of the electorate. This has created public perception of him being a member of a feudalistic northern oligarchy who believe Nigeria belongs to them. Ex President Obasanjo may as well look for a place to run and hide. It also means that even if 22 PDP governors endorse you; never take their word for it. Atiku has promised o relinquish power after one term in office and give the presidency to the Ibos (I have never really understood this part, aren’t Nigerians involved anymore?). Atiku could also decide to ditch the Ibos (this isn’t the first time it’s happening in Nigeria) and pick Jonathan as his running mate in order to have a more nationalistic outlook. It means the zoning arrangement will most likely continue to hold. President Goodluck Ebele Jonathan depicts a typical fairytale story. His grass to grace life should serve as inspiration to anybody in need of confidence. How an Ijaw man born in Otueke can aspire to be President of a country like Nigeria was hitherto a figment of imagination. 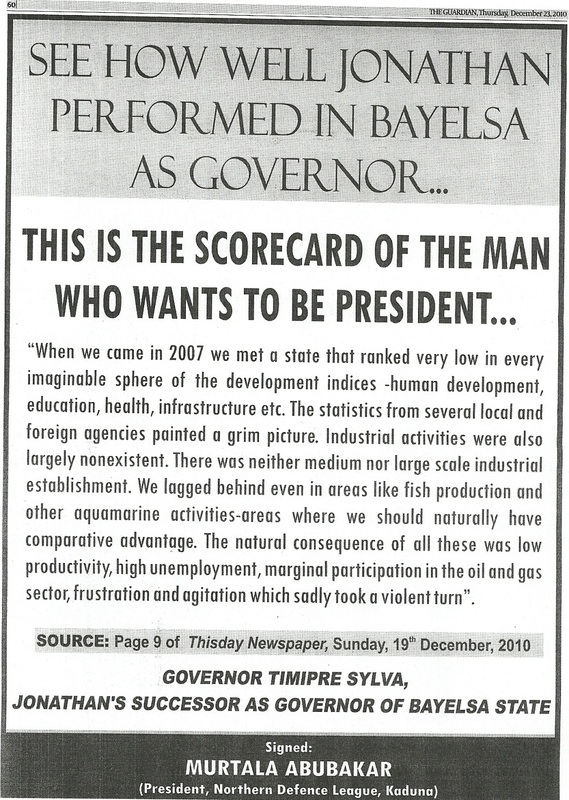 Jonathan began his career in politics in 1998 and was governor of Bayelsa state from 2005 to 2007. He was selected by the late President Yar’Adua to be Vice President. He later rose to become President after the protracted illness and eventual death of his principal. Jonathan obtained a Bachelors’, Master’s and Doctorate degrees from the University of Port Harcourt. He is married to one wife, Patience and he has two children. His popularity among the youths has earned him credibility even though his government has not been known for any concrete achievement. On the 28th of June 2010, Jonathan created a Facebook fan page which according to CNN, he (Jonathan) has more Facebook fans than the combined tally of British Prime Minister and South African head of state, Jacob Zuma. He is often regarded as “The Facebook President” by CNN. President Jonathan’s ascension to president is seen as an act of God. His Presidency cannot be ascribed to being the orchestration of a political godfather. 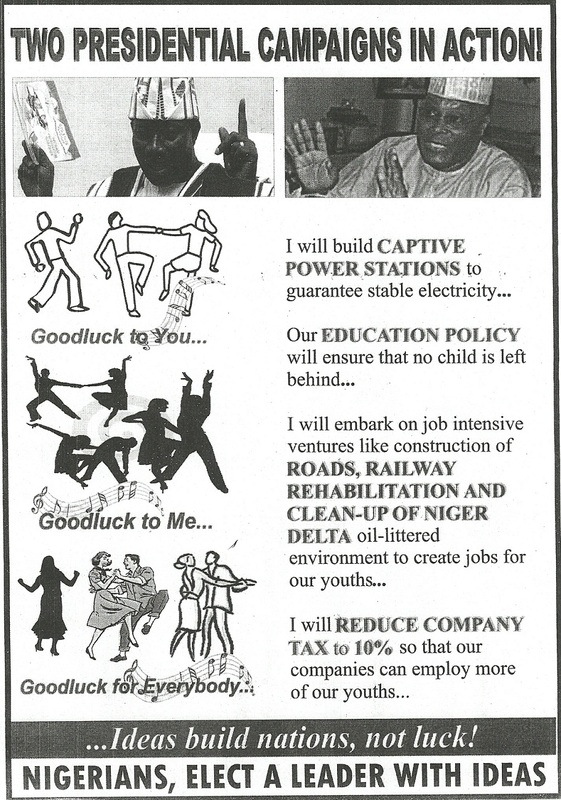 “God-fatherism” has been a bane of Nigerian politics. The likes of the Late Chief Adedibu and the Chris Uba in Anambra have shown us how not to play the game. The President banks on his popularity among the youths. He considers himself as a “youthful” president. (How this would translate to votes in the primaries is another matter altogether). The power of incumbency cannot be overemphasized. People usually follow the bandwagon. It doesn’t matter his antecedence or experience, in Nigerian politics, you can’t stop a moving train. Jonathan has a listening ear. His administration has seen him resolve trade union disputes in the shortest period of time. The long fuel queues in petrol stations are now a thing of the past. The way he handled himself during the protracted illness of his principal proved Jonathan to be a man whose loyalty can be trusted. 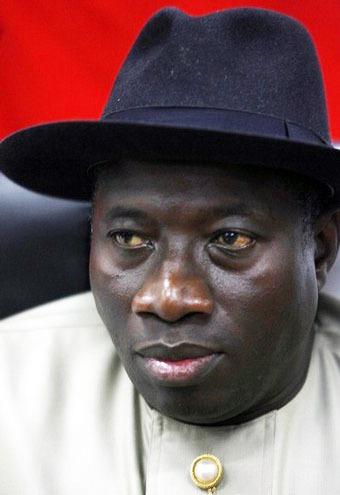 The recent spate of violent eruptions across the country have not helped Jonathan’s cause. His lack of experience in security matters (which is extremely important) has been evident. The buck unfortunately ends on his table. President Jonathan’s administration has no clear cut manifesto of its own. He still carries the Yar’Adua hangover. 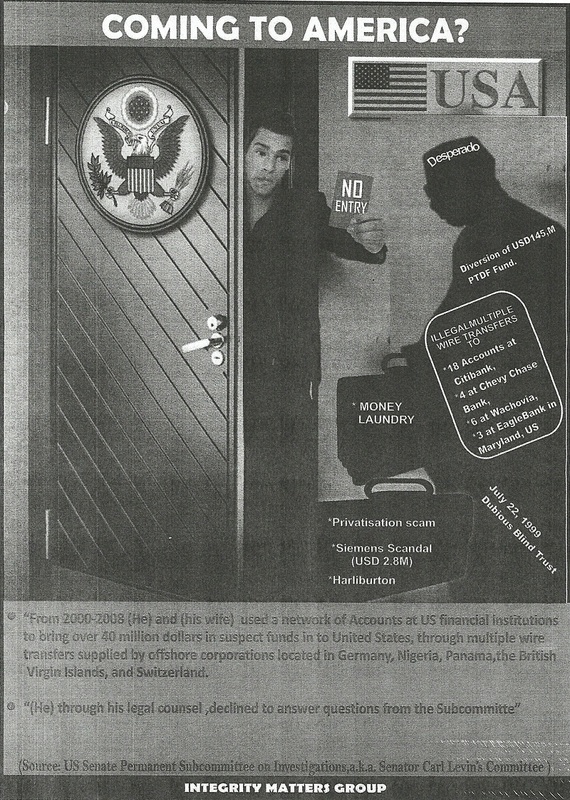 Many consider Jonathan has an opportunist who reaps where he has not sown. 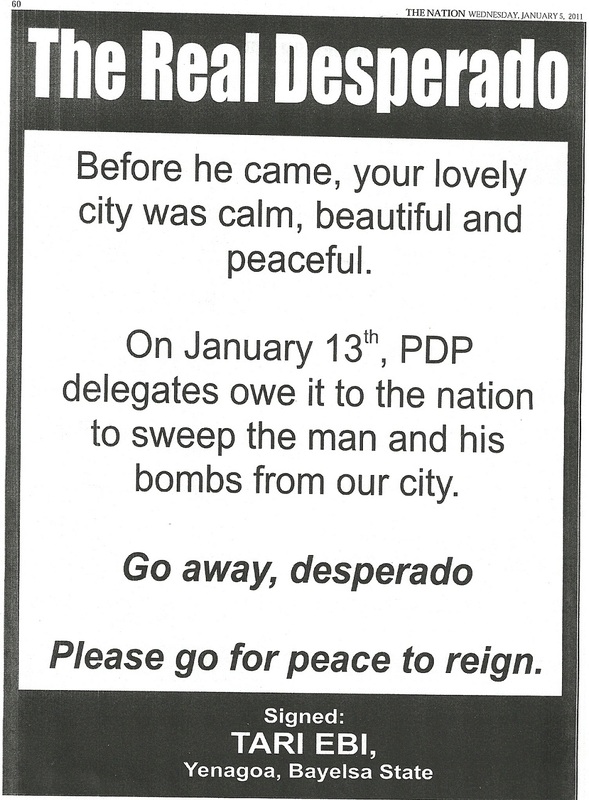 He has also denied any knowledge of the Zoning formula within the PDP (not exactly a gentleman I guess). This has put him in bad light. Then the zoning formula which has helped to keep the polity stable may as well be gone for good. If he does go ahead to win the general elections, it may be another 8 years. And then what happens. Will Vice President, Namadi Sambo decide to exercise his constitutional right? Won’t the north say, “Oya na awa turn”? 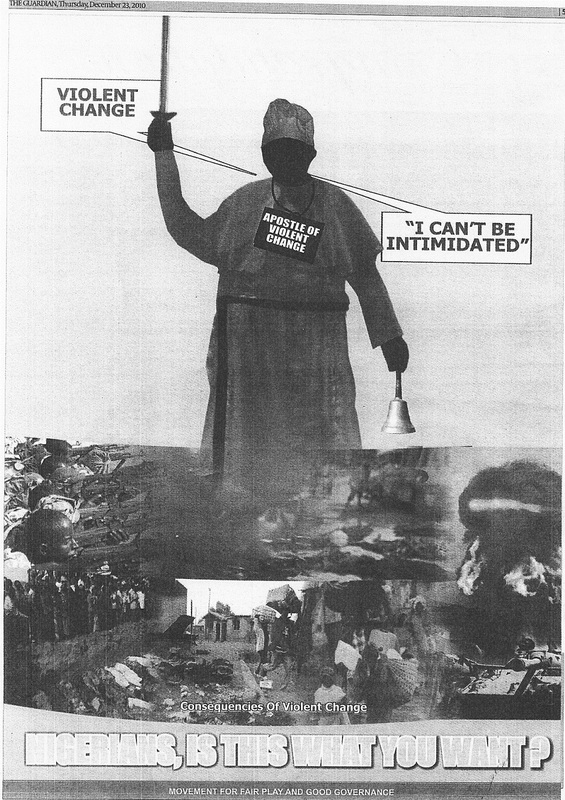 What happens to Ndigbo? As much as am happy that a person from a minority (especially from the neglected Niger Delta region) can aspire to be the president and achieve his goal, the permutations may heat up the polity much later. Furthermore, in Nigeria, once the President and the Vice President positions have been filled, the Seat of Senate President and Speaker of the House of Representatives are zoned among the other geopolitical zones. Does it now mean that David Mark (who is from Northern Extraction) will vacate his seat as Senate President? Will another Yoruba man retain the position of Speaker of the House? As expected both candidates have not taken anything for granted. They have thrown everything at each other. Horse trading, mudslinging and smear campaigns have been the order of the day. I have watched with keen interest the smear campaigns ran by both parties and I have scored points. If you thought MKO/ Kingibe’s political jingle is a classic, you should listen to this: “Goodluck to you, Good luck to Me, Good Luck to everybody, Goodluck Nigeria eh is certainly not disappointing. Matter of fact, the song sweet die. It seems this one ended in a draw. There will be no draw n the real primaries on Thursday. The power lies squarely in the hands of the delegates. The winner of the primaries would then be endowed with all the power and might of the PDP and may once again coast the party to victory. guy nice analysis but somehow u seem to support JEG based on the scores. Well i support him too & i pray he wins so that itenerant can be thrown out for good. GOODLUCK TO GOODLUCK TODAY.